The outgoing winner of Ligue 1 faces his dolphin. This Saturday at 2 pm (French time), Paris Saint Germain meets the Monaco formation of Leonardo Jardim. First big test so for these two teams who will be keen to win this game to start the season. During its preparation period, PSG could not count on a large part of its usual strength and had to trust its youth (Mbe Soh, Georgen, Nsoki, Bernede, Postolachi or Toufiqui to name a few ). This youth has shown good and bad. In their first two games, against Bayern and Arsenal, the Parisian youth has been too tender bleeding some flashes. PSG lost twice. Against Atlético after, the young have managed to win with the return of some holders like Verratti. Against AS Monaco, Tuchel will always have the same worries, many global players will miss the call. ASM side, the team seemed still far from its optimal form after the match against Hamburg. In his German tune, Monaco did not win a single match. After their defeat against Paderborn (2-3) last week and a draw against Bochum (2-2), Leonardo Jardim’s men lost to Hamburg (second division), 1-3. A sad performance for a training that had a starting composition very close to that which could be aligned against Paris. Thomas Tuchel can count on the return of Marquinhos and Thiago Silva. The trip to China will be without Kimpembe, Neymar, Mbappé, Cavani and Meunier. Monegasque side, the move will be without Danijel Subasic, Djibril Sidibe nor Radamel Falcao, three of its globalists. Leonardo Jardim can, however, rely on Kamil Glik, Yuri Tielemans and Keita Balde. Rony Lopes is in shape, he is the author of 4 goals in the preparation phase. Thomas Tuchel is immediately immersed in the big bath with this meeting. First trophy of the season to go for these two formations. After losing important players like Thomas Lemar or João Moutinho, Monaco has recorded the arrival of very young players like Golovin or Geubbels, Grandsir or Jean-Eudes Aholou. We are perfectly in the Monegasque system. Buy young players to sell them more expensive in the future. With this influx of new players, it will necessarily take a little time before the team sets up. 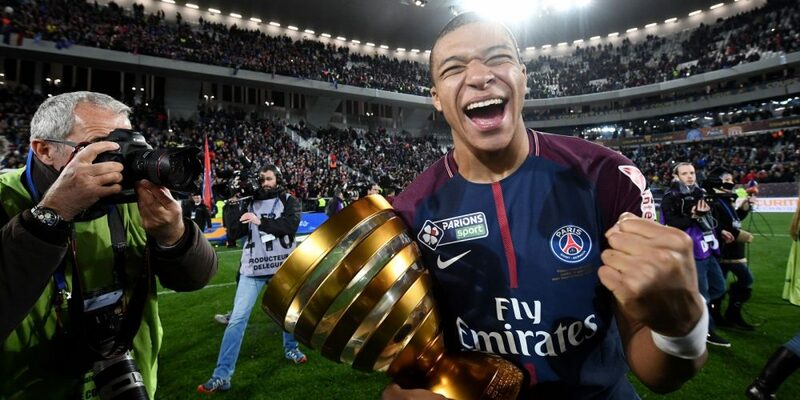 Parisian side, with the return of some executives like Di Maria, Verratti, Thiago Silva or Marquinhos, the young people who will be tenured will be in better conditions to fully express their talent. This mixture of experience and youth can clearly make a difference in view of the performance of a few young people like Timothy Weah, Moussa Diaby, Yacine Adli and Virgiliu Postolachi in preparation. With the absence of some important executives and the form of the moment, the Monegasques will face Paris diminished, and it could well cost them the match.